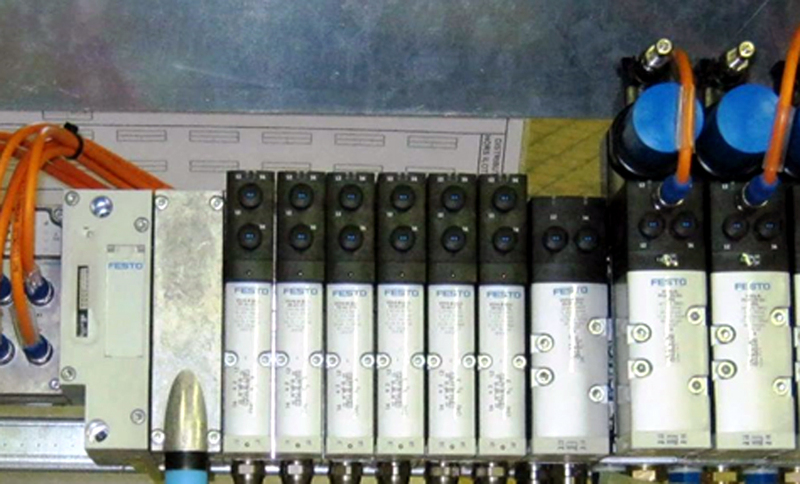 OET's experts analyse your pneumatic circuits and advise on the location of new components. This service is an integral part of our pneumatic workshop, covering a range of sectors from car manufacturing to the food industry. In order to offer a service tailored to your exact requirements, from annual contracts to one-off orders, our teams work in close collaboration with our design department to develop economically and technically pertinent solutions. Vacuum line analyses (suction, blowing) and pneumatic processes. Schematic diagrams for pneumatic and cooling systems. Installation of pneumatic plates and panels. Construction of control panels for pneumatic systems, air treatment and logic control boxes.